Dan Amyx has always been fascinated with light and the complex science behind it. The better understanding of how light travels and its role in vision has led Dan to a successful career as an optician, along with an overriding passion to help people see more clearly. Growing up in Tampa, Amyx completed his education and became a licensed optician in the early 1980s, accepting a partnership with a local optical company. The desire to share his knowledge with others following the same path led to a position teaching at the Hillsborough Community College Dispensing Optician Program. Relocating to Fort Pierce in the 2001, Amyx aligned himself with local optical companies, but his sight was set on opening his own business. 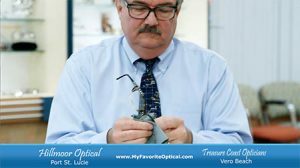 In 2004, the right opportunity presented itself, and Amyx purchased Hillmoor Optical, an established optical business located in Port St. Lucie. Over the next several years, Amyx updated equipment and expanded selection to include top-name and hard-to-find designer frames, including sport styles, sunglasses and a wide selection of youth frames. He brought in the finest quality eyeglass lenses available and expanded the selection of hard and soft contact lenses. The business grew an average of 30 percent per year over the next three years. In 2007, Amyx expanded the operation further with the purchase of Treasure Coast Opticians in Vero Beach. 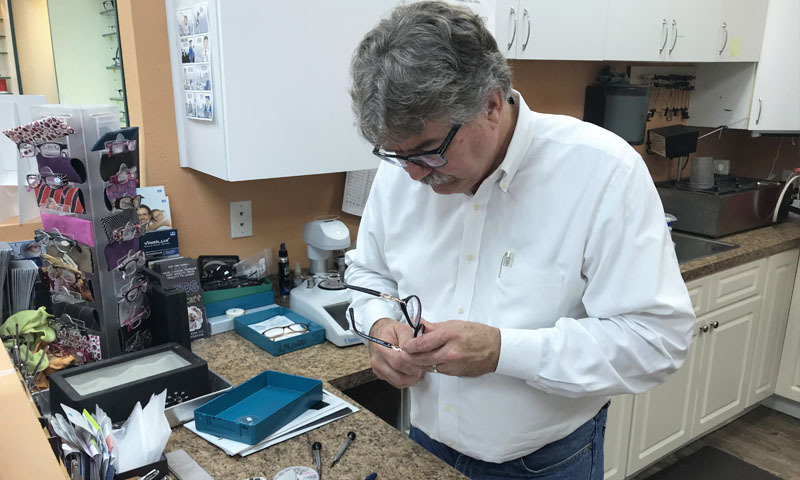 Recognized as one of Port St. Lucie’s oldest and most established optical companies, Hillmoor Optical underwent a major expansion in 2018, including a new reception area, two private exam rooms, a pre-test room, contact lens instruction room, doctor’s office and expanded storage, making it the largest optical store in St. Lucie County. Dan Amyx is Florida licensed, board certified optician and is accredited by the American Board of Opticianry (ABO), National Contact Lens Examiners (NCLE) and National Academy of Opticianry (NAO). He also holds BA degrees in Psychology and International Studies.